Hai Bro Sis ...In its latest generation, the Kawasaki Z800 was undisputed leader of the motorbike market in Spain thanks to its Z800e version, limited to being able to comply with the approval of the A2 license. 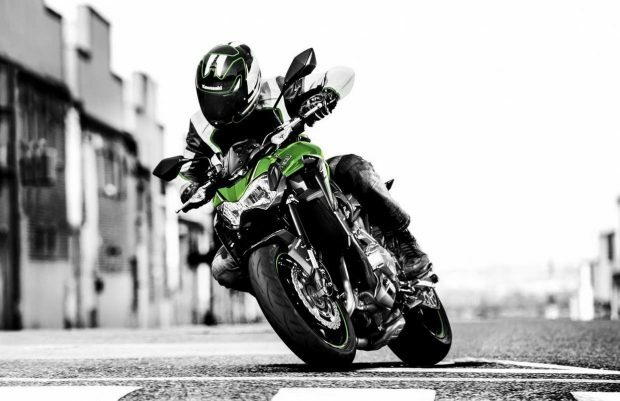 This version was missing at the premiere of the Kawasaki Z900, but now Kawasaki rewards those who waited a few months to get it with the Kawasaki Z900 A2. It will arrive at the end of the year then its price will be determined as per according to market. The most important novelty of the Kawasaki Z900 designed for the A2 license is of course that its tetracyclic 948 cc engine has reduced its power from 125 to 95 hp, at the limit of what allows approval. The objective of the reduction in benefits is to open the possibility that the user of the A2 license can limit the motorcycle to 47.5 hp as standard. This is done by changing the control unit of the motorcycle, so it is easy for the manufacturer to switch from one configuration to another when the two-year period ends with this limitation. Otherwise, this Z900 remains as faithful as possible to the version with more power, including the same air box and thus the same plug (and sound), the clutch anti-rebound, the same adjustments of the tubular chassis and suspensions. Of course, the Kawasaki Z900 ‘s sales are now double with this expected Kawasaki movement.